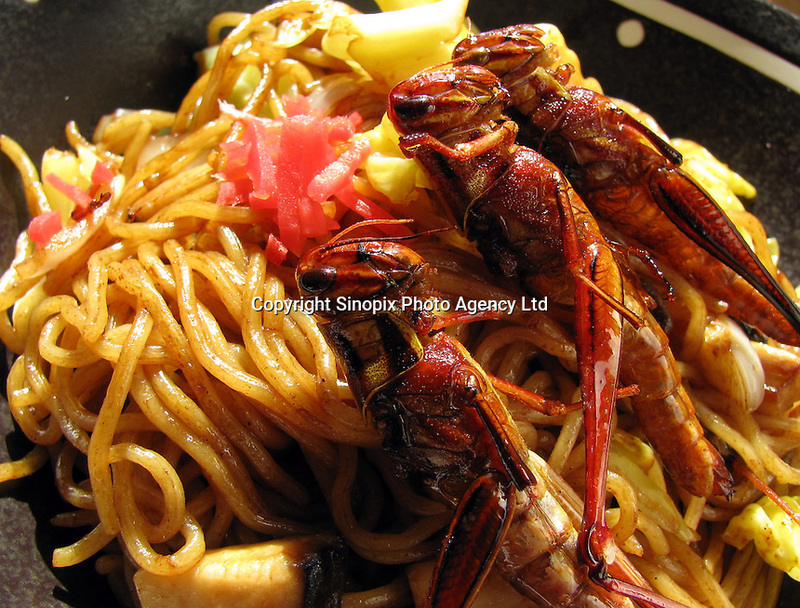 Taiwanese grasshopper (adult) fried noodle at a bug eating party in Tokyo, Japan. The bug eating movement is gaining in popularity in Japan where bug eating gourmet cooking parties are sold-out. The insects are seen as the ultimate challenge in the world's gastronomical capitol but alo seen as an important alternative source of protein for the future and even the Japanese Space Program is looking into using insects as food in space travel.